Congratulations on finishing our first 100 Lessons! Give yourself a huge pat on the back. Especially if you worked your way all the way up from Lesson 1, you have come a long way. The good news is; you have come this far. 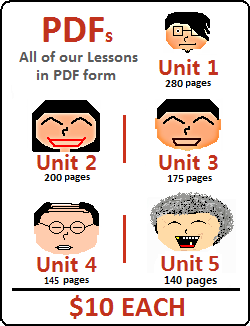 The bad news is; I still plan to write additional 100 – 150 lessons. 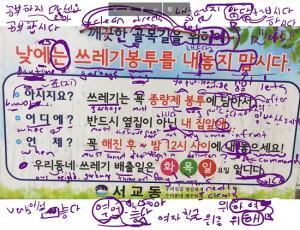 So, while your Korean may be getting very good by this point, there is still a ton to learn. But, don’t let that discourage you. You have made it this far. 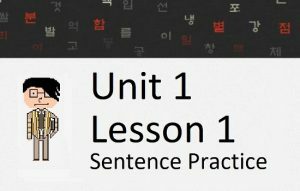 Before going any further, let’s do the Unit 4 Test to make sure you understood everything perfectly. Person 2: 진짜요? 경비아저씨나 경찰한테 신고했어요? 3) What is the main point of the dialogue? 6) Read the following dialogue and answer the question. Person 1: 아! 내가 너무 배고파! 식당에 도착하자마자 바로 주문할 거야! Person 2: 우리가 가는 식당은 그냥 식당이 아니라 뷔페_____! 7 – 8) Read the following dialogue and answer the following questions. Person 1: 죄송합니다. 제가 우리회사에서 일한 지 10년 됐는데 지금 그만둬야 합니다. 그 동안 저를 도와주셔서 많이 감사합니다. Person 2: 갑자기 왜 그래요? 우리 회사를 지금 안 좋아해요? 9 – 10) Read the following dialogue and answer the following questions. 10) If the underlined “더라도” is replaced by “으면”, does the rest of the dialogue still make sense? 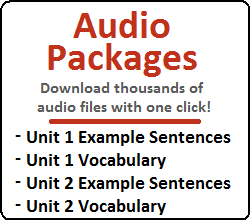 11) Which of the following does not fit with the other three sentences? What is the reason the girl wants to go to Europe? How can the person get to Seoul station? Which of the following best describes the situation that was talked about in the dialogue? Person 1: 죄송합니다. 서울역에 어떻게 가는 지 아세요? Person 1: 와! 저 사람한테서 사인을 받아야 돼! Person 2: 왜? 저 사람이 누군데? Person 1: 인터넷이 엄청 빠르지? Person 1: 아 진짜. 미국 인터넷보다 훨씬 빠르지 않아? 한국 인터넷이 세상에서 가장 빠를 줄 알았어! All done with Unit 4? Then why not move on to Unit 5 where you can learn more complex grammar. Want to head straight to our next lesson? Check out Lesson 101 in Unit 5.